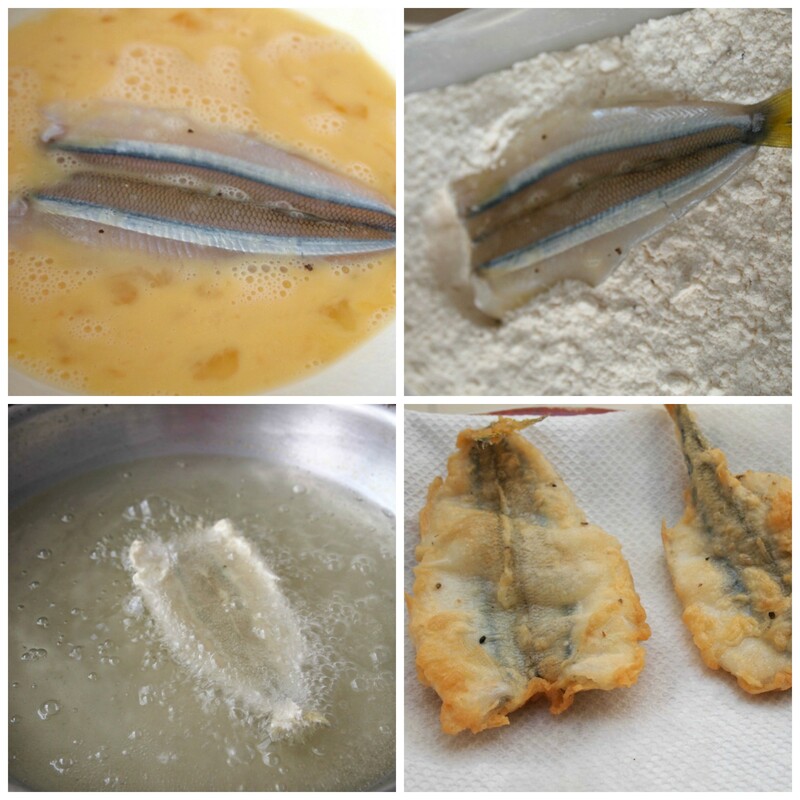 Pejerrey –smelt– is a small silver fish (about 6-inches long) easily caught in the cold waters of the Peruvian coast, and I think of it as a poor man´s delicacy. 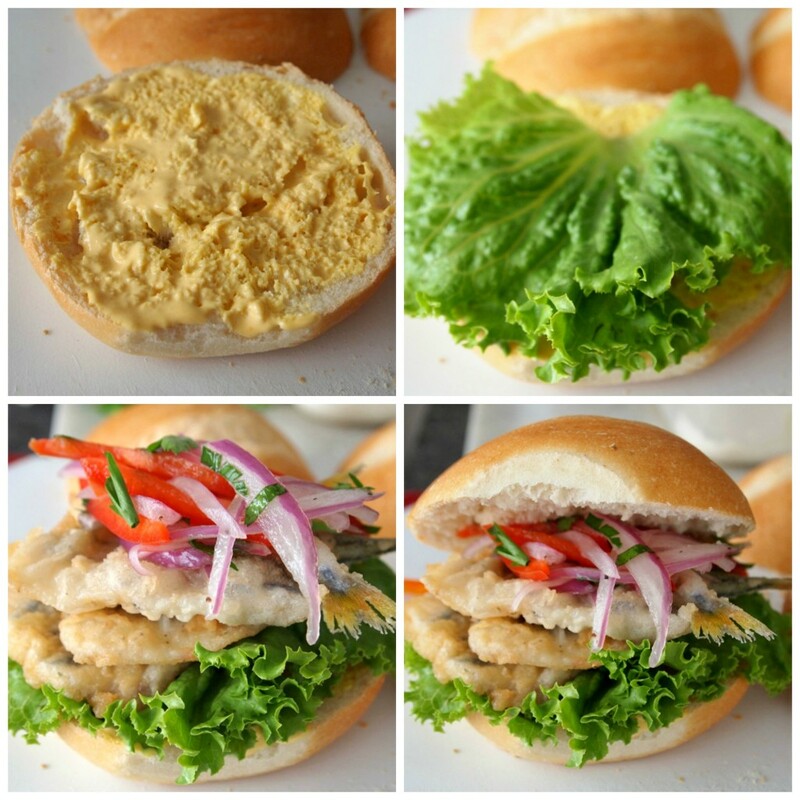 Full of flavor and nutrients, it is used in many recipes, from cebiches to sandwiches like this one, which in Peru we call “pan con pejerrey”. This is no more than fried breaded fish sandwiched in crispy round bread rolls, with some added lettuce, always with salsa criolla, and some mayonnaise or aji amarillo sauce on the side. I always buy smelts that have been already cleaned, because they have a lot of bones. If you buy them in one piece -as I did the first time I cooked them a long time ago-, you will regret it, because they are very small and deboning them is no fun job. Besides, they are cheap (at least in Peru they are) and it´s not worth spending a lot of time cleaning them to save some pennies. 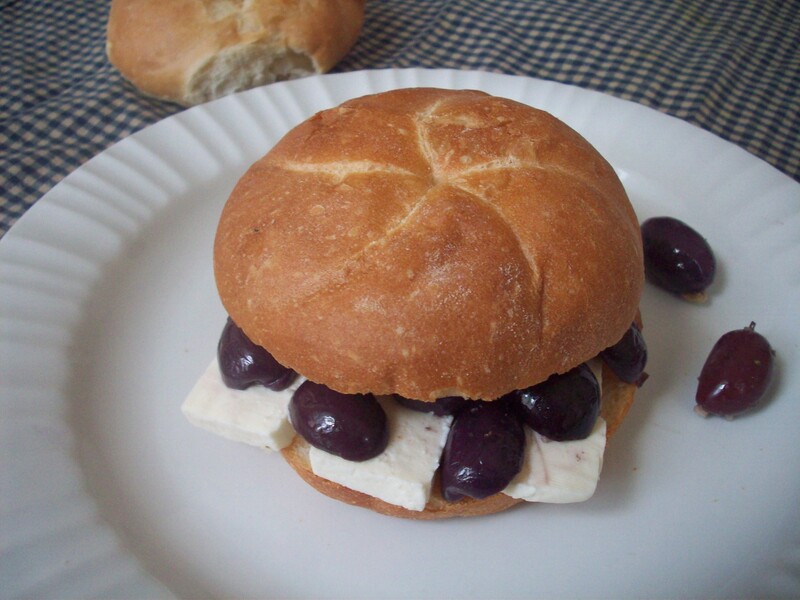 These sandwiches are very easy to make, and delicious to have as a snack or a light lunch. One for me is more than enough, but some people have two or even three! 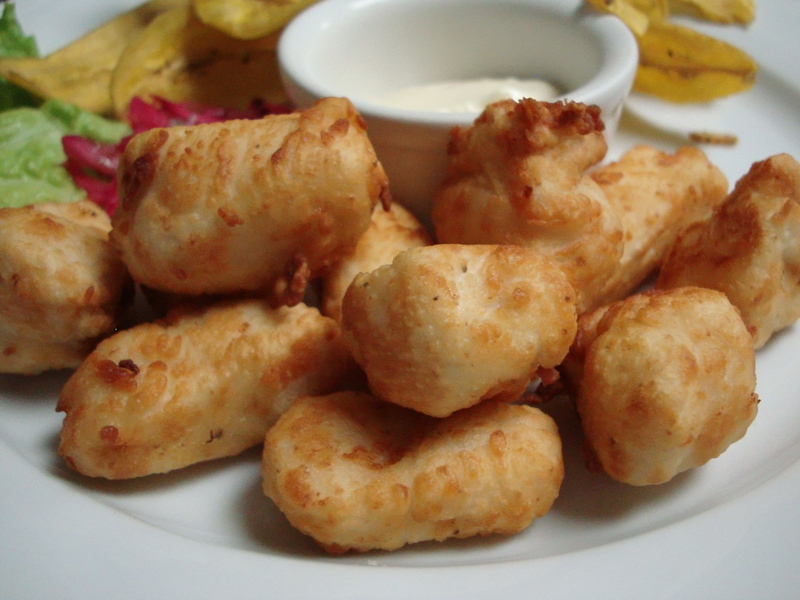 Some cooks love to make a fritter batter to dip the fish in and then fry them like buñuelos. They are great cooked this way, but today I chose an even easier way, as you can see. Use bread crumbs or panko instead of flour, and the texture will be crunchier. 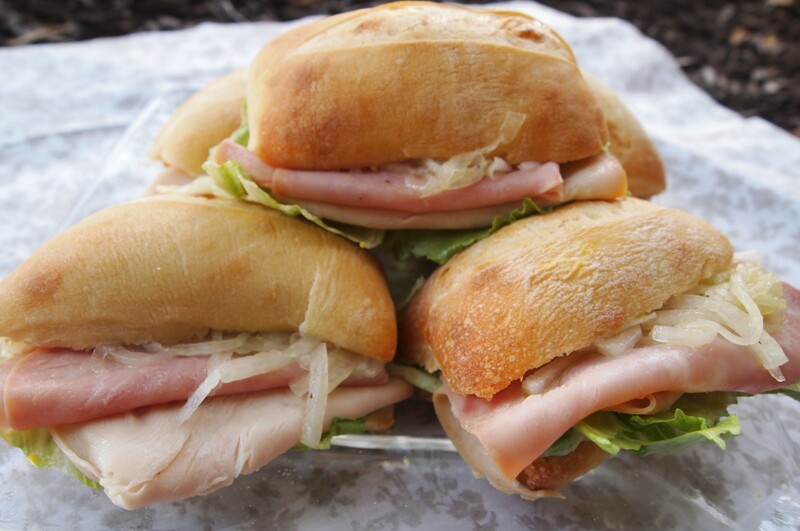 If you have the basics ready in advance -the famous mise-en-place – these sandwiches will be at the table in 30 minutes or so. Not bad, huh? 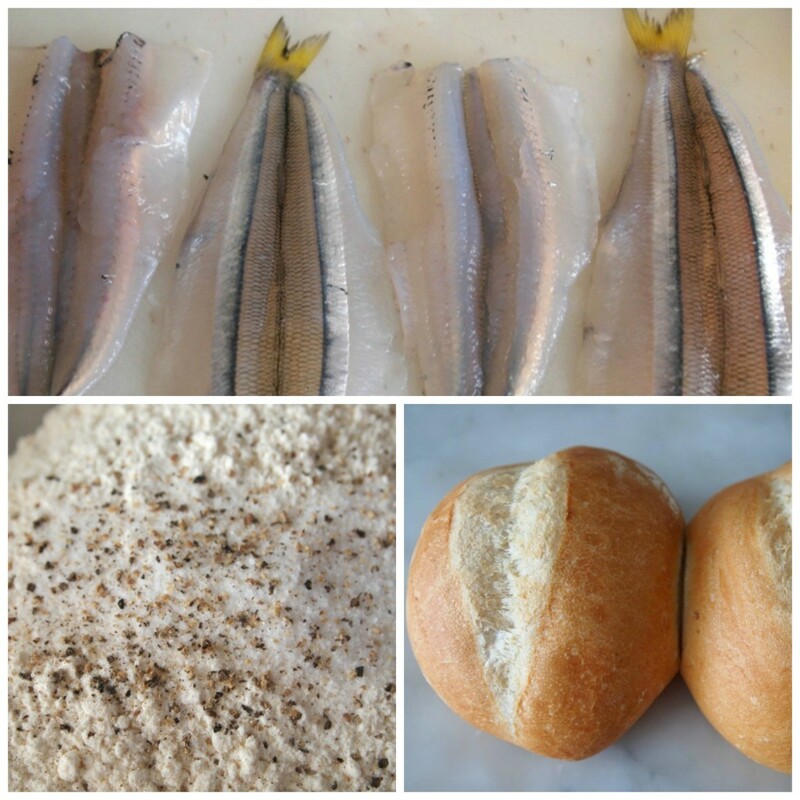 Wash and dry the fish and season with salt and pepper. Have two bowls ready: one with the lightly beaten eggs, and the other one with the flour, seasoned with a pinch of salt and pepper. Dip each fish in the beaten egg, and then in the seasoned flour, shaking the excess. Put the fish in the hot oil and fry on both sides, about 2 minutes per side. Do not overcook. Transfer to a plate covered with paper towels to drain the excess oil. Slice the bread in half, and spread one side with a mixture of mayonnaise and aji amarillo paste. 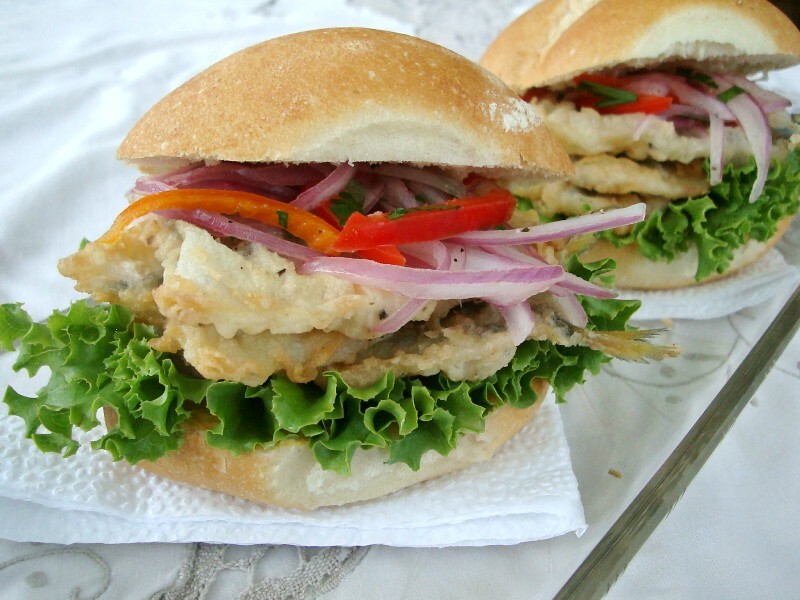 Add a lettuce leaf, place three or four fried smelts over the lettuce, and top with salsa criolla. You have a beautiful blog. I like fish but I’ve never heard of this one before. Thanks for visiting, Bella Vida Letty.